Foodista | IFBC NOLA Speaker Announced: Foodista CEO Barnaby Dorfman! It's a sincere pleasure to welcome Barnaby Dorfman to the 'Marketing Your Brand' panel at IFBC NOLA! 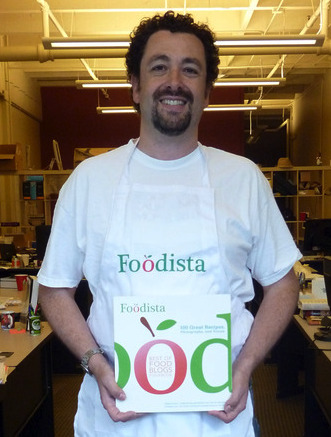 Barnaby Dorfman is the CEO of Foodista and a passionate contributor to the website. Originally from New York City, he grew up with a love of variety in food and culture. That interest has only been enhanced over the years while living in and traveling throughout Mexico, Spain, Italy, and the United States. His first professional cooking experiences were in high school during summers at the Alpine Inn in the Catskill Mountains. Later he worked for Taste Catering in San Francisco during college at California State University. After a short stint in his "official" area of study, international business, Barnaby joined his first startup, Marsee Baking, Portland's first all-scratch European style bakery. He left Marsee to go to the Tuck School of Business at Dartmouth, followed by over a decade in technology management at startups and major companies, including Microsoft and Amazon.com. During 7 years at Amazon, Barnaby developed the first Gourmet Food category, created IMDbPro.com, and most recently served as Vice President of their A9 search division. Foodista.com, Barnaby's fifth startup, offers him the opportunity to combine a lifelong love of cooking and technology.